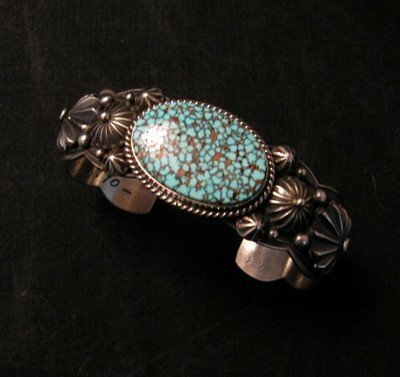 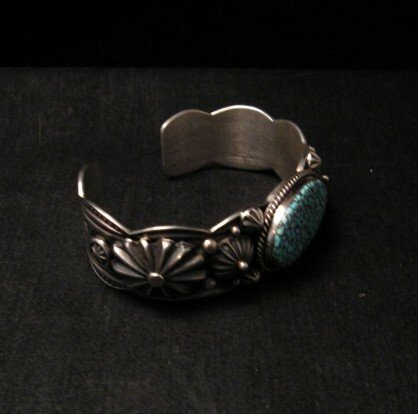 Navajo sterling silver cuff with natural Kingman turquoise stone, handmade in the old pawn style by Native American Albert Jake. 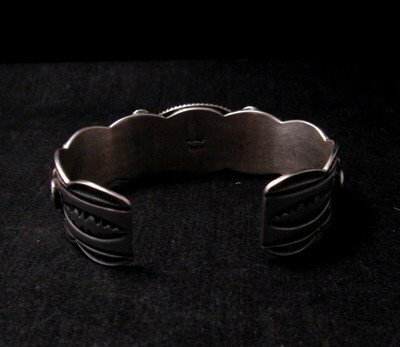 Scalloped edges, applied repousse bump-outs, silver beads, and a deep oxidized finish create the old pawn look for which Albert is most famous. 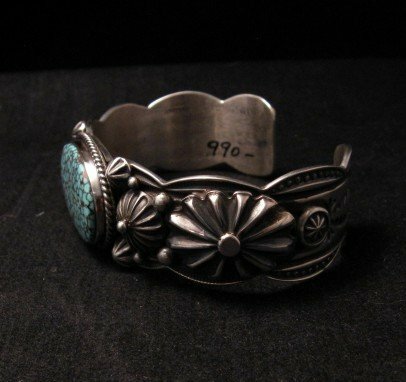 Bracelet measures 7/8 wide with an inside end-to-end measurement of 6-1/4 plus an opening gap of 1-1/8 and weighs 70 grams. 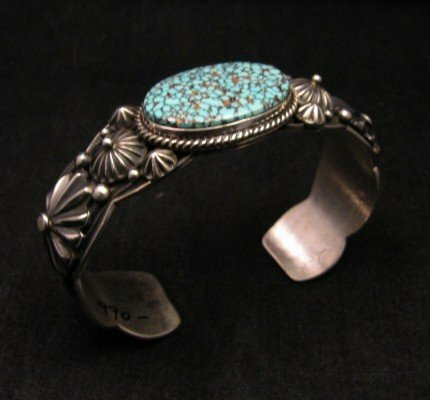 Navajo Albert Jake was born in Zuni New Mexico in 1959. 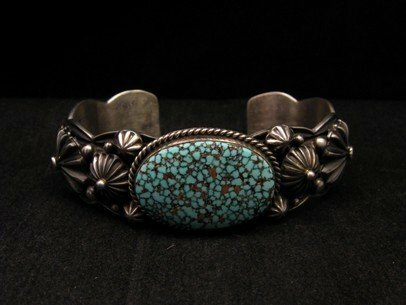 He learned silver smithing from his parents and has been creating beautiful handmade jewelry since 1987.